Hello from Orlando International Airport! My flight took off three minutes ago. Haha, just kidding! It was supposed to take off three minutes ago. Now it takes off in two and a half hours. 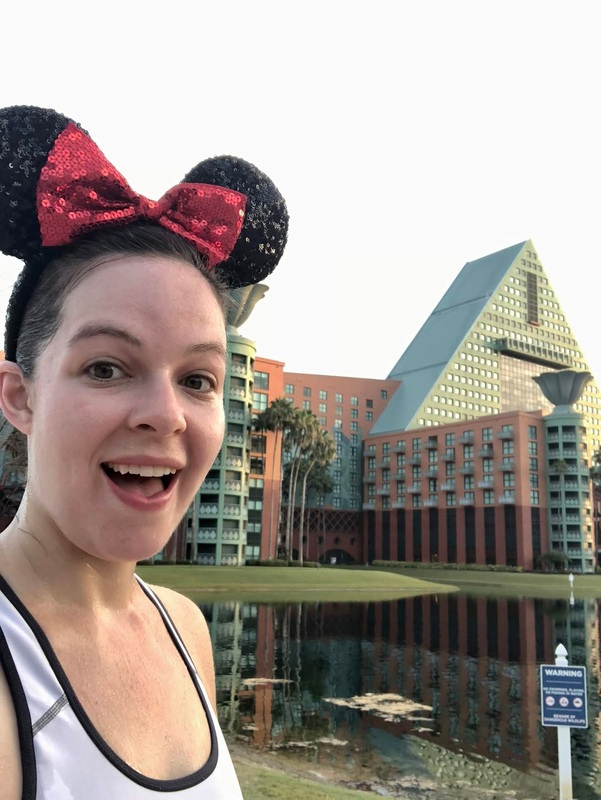 Clearly I have some time to kill, so I'm going to tell you nice people about the conference 5k I ran. This race is always a fun run with no chip times, just approximations, plus they don't even promise it'll be exactly 3.1 miles, but I like to participate every year anyway because hey, free race! In this particular case there was the added incentive of running amok on Disney's Boardwalk. It was enough of a draw to get me out of bed and hanging out at the Swan lap pool before 6:30am, 78 degrees and humid or not. Truly the magic of Disney conquers all. The start was informal, and the pack set off with no real preamble or organization beyond: okay, go! 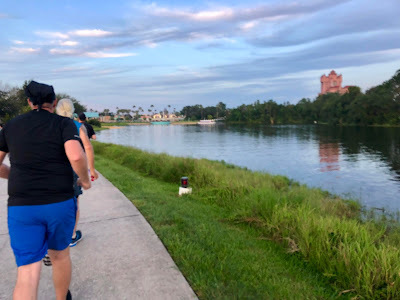 The course matched the Swan & Dolphin's suggested run route exactly, so we saw pretty much all there was to see of the Boardwalk. First we set out across the bridge headed for the Yacht & Beach Club, curving around Seabreeze point where a breakfast buffet was being set up for a private event (an Epcot wedding, maybe?). Then we passed by the pirate ship - WDW Marathon deja vu! 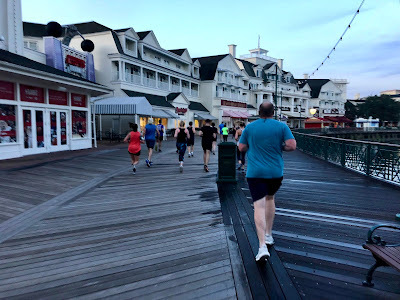 - and curved around to pass by the Boardwalk area proper, with ESPN and Ample Hills and Boardwalk Bakery and all that jazz. 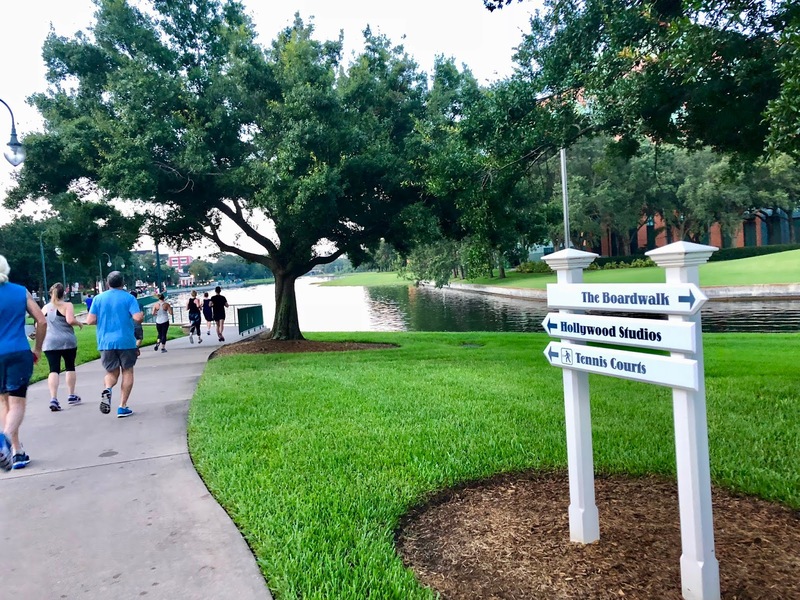 From there we veered onto the path toward Disney's Hollywood Studios - so, now in reverse of the marathon course. Luckily for my sense of cognitive dissonance, we were turned around at the top of path right before the bus stops and sent back down the trail, now in full accordance with marathon proceedings. It was a blurry day. 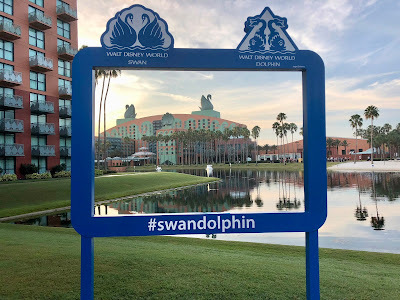 After that it was one more loop of the Boardwalk before hitting in the finish, back where we started by the Swan. There was water and some Kind bars, plus plenty of cheering conference spectators. A couple of them were even cheering from swan paddle boats out on the lake! As for my performance, it wasn't too bad for all that. It was hot and muggy (aka Florida), and at the start I had to dodge around some slow people and a briefly narrow course, but I brought the whole thing in under a 9 minute average mile. All in all I wasn't displeased. Have you ever run the Boardwalk? How do you feel about it?